These tiny Black Seeds pack a punch! Organically grown, these super seeds have been used for centuries to promote health and longevity. (16oz) - These tiny Black Seeds pack a punch! Organically grown, these super seeds have been used for centuries to promote health and longevity. Highly prized by the ancients, they were even found in King Tut's tomb. Full of healthy EFA's, dietary fiber and powerful anti-oxidants, they make a great addition to salads, soups or even smoothies. 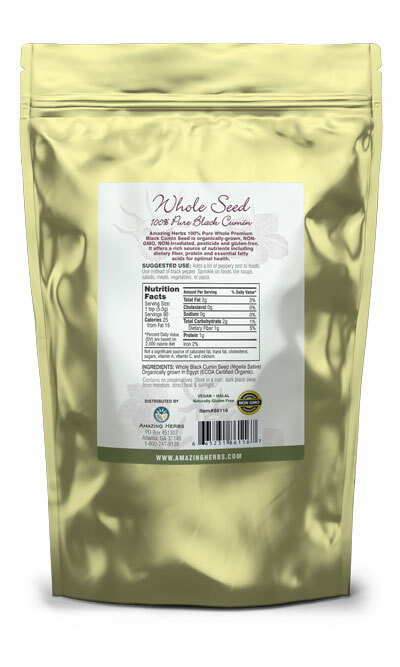 Ingredients: 100% Pure, non-iradiated, untreated, and unwashed Black (Cumin) Seed herb. These tiny seeds pack a punch! 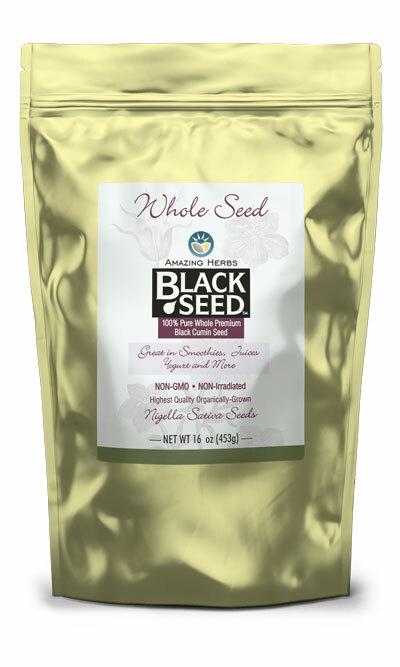 Organically grown, these super seeds have been used for centuries to promote health and longevity. Bulk packaging. Ideal for cooking, adds flavor and color to potatoes, salads, yogurt, etc. Tastes great lightly toasted.